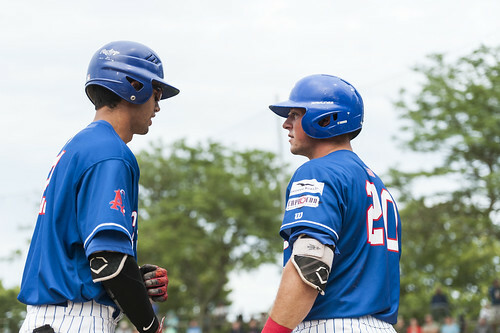 The Chatham Anglers (21-18-3) will finish off their season with two games against the Orleans Firebirds (13-28-1), looking to eliminate their rival from playoff contention. Chatham rebounded from Sunday’s loss to the Falmouth Commodores by achieving its sixth win of the season over the Harwich Mariners, completing the season sweep. Seven of eight playoff spots have been clinched, with the final spot — the East Division four-seed — up for grabs between Orleans and the Brewster Whitecaps. In the first round of the playoffs, the Anglers will face off against the Mariners with game one set for August 4 at Veterans Field. Despite losing just one of its last five games, the Chatham offense has not been in top form. The team has a .212 batting average and 24 runs over that span. Spencer Torkelson (Arizona State) has gone through a small slump. His RBI double in the third inning against Harwich on Tuesday marked his first RBI since July 20 against Cotuit. Since July 20, the slugger’s batting average has dropped from .423 to .356. Michael Busch (North Carolina) has made up for Torkelson’s recent struggles by powering five hits and four RBIs in his last four contests. The Minnesota native tallied his eighth multi-hit game in 25 games Tuesday at Whitehouse Field. Busch has reached base in 18 consecutive games, the second-longest active streak in the league. The Anglers recently regained the league’s lead in home runs (39), after sitting behind Orleans. Busch and Colin Simpson (Oklahoma State) have accounted for four of Chatham’s five long balls in its last five games. The duo has combined for nine on the summer. Alek Manoah has allowed only three hits all season with a runner in scoring position. The Chatham pitching staff is one of the best in league at getting outs with runners in scoring position. Opponents hit .221 off the Anglers when they have a runner in scoring position, ranking second in the league trailing the Falmouth Commodores by one percentage point. 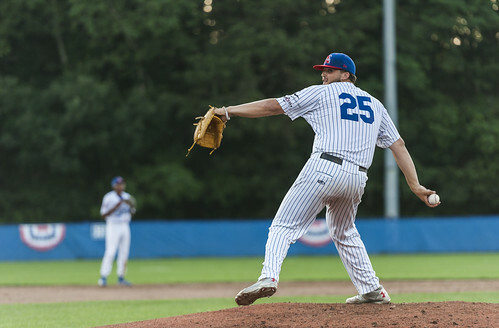 For the three Chatham pitchers expected to throw significant innings in the playoffs — Jeff Belge (St. John’s), Austin Bergner (North Carolina) and Alek Manoah (West Virginia) — pitching with runners in scoring position has been a point of strength. When faced with runners in scoring position, all three have outstanding batting averages against. Bergner has the highest opponents batting average of the three at .136. Belge follows him with a .121 batting average against while Manoah allows opponents to hit only .111 when there are runners in scoring position. But it is not just those three who are holding opponents to under the Mendoza Line when runners reach second base. Jack Conlon (San Jacinto), Tristin English (Georgia Tech), Kyle Hurt (Southern California) and John McMillon (Texas Tech) have all kept opponent’s batting averages under .190. In two of its past four games, superb starting pitching was erased by subpar relief pitching and sloppy defense. In both instances, Chatham was robbed of a win by conceding one high-scoring inning. On Friday, the Anglers possessed a four-run lead over the Yarmouth-Dennis Red Sox heading into the bottom-half of the seventh inning. The East Division leaders churned out four runs in the frame off Chatham relief pitchers Reeves Martin (New Orleans) and Spencer Van Scoyoc (Arizona State) en route to a 4-4 tie. On Sunday, a Colin Simpson (Oklahoma State) RBI groundout put the Anglers ahead in the first inning. After five scoreless frames, the Commodores plated five runs against three different A’s pitchers in the seventh inning. Falmouth tacked on an insurance run in the ninth to boost it to a 6-1 win. Chatham’s 4-1 victory at Whitehouse Field on Tuesday night marked the completion of its season sweep against the Harwich Mariners. All six of the Anglers’ wins came by at least three runs. Seven different Anglers hitters have posted above a .300 batting average against the Mariners this season, with Blake Sabol (Southern California) leading the way. The utility man is batting .429 with nine hits, two long balls and six RBI against Harwich. Chatham pitchers have been efficient against the Mariners, striking out 61 and walking 19 in 54 innings while holding Harwich hitters to a .178 batting average. The Anglers and Mariners will face off in game one the East Division semifinals at Veterans Field on August 4. Spencer Torkelson and Blake Sabol are two of the top sluggers in the Cap League. Torkelson and Sabol are two of the top home run-hitters in the league. Despite combining for 13 long balls, the two sluggers mash their home runs in different fashion. Sabol — who is tied for second in the CCBL with seven homers — has hit six of his dingers off right-handed pitchers. In only two of those at-bats was he ahead in the count. All other times, he was either down a strike or even in the count. With six homers, Torkelson is tied for fourth in the league and right behind Sabol. Torkelson has four round-trippers off righties and two off lefties — he and Busch are the only two Chatham players to have hit multiple homers off left-handed pitchers. All of Torkelson’s home runs have been when he there are more balls than strikes in the count, including blasting a solo-shot on a 3-0 count against the Brewster Whitecaps on June 20. Chatham has two games left in the regular season, both against the Firebirds. After an offday on Friday, the Anglers begin the playoffs with a home game against the Mariners.